Enjoy optical superiority with our new Tactical Multi-Slot Bases. These Weaver Picatinny bases are designed for specific models of firearms and provide an additional 1 inch of forward length for more mounting options. Manufactured from 6061 T6 aluminum and protected by a matte, Type III hard coat anodized finish, these multi-slot bases are compatible with Picatinny or Weaver style rings. 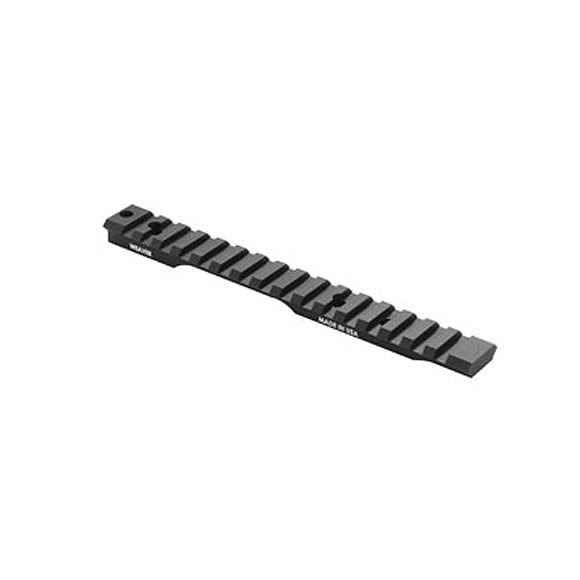 An integral recoil lug, no slip/strip Torx® screws round out the features of these tactical bases.